On this page I give details of my favourite charting and scanning services. As usual, FREE is best, but for all of these, you can pay a small monthly fee to get greatly improved services and options. It depends on how seriously you take your trading! Scanning for stocks is an important tool when swing trading, or trading options based on a swing trading technique. There are tons of tools around on the net, some for free and some that are VERY expensive. My scottish ancestory drives me to make money the cheapest way possible, and preferably free, so I will put on this page my favourite free or cheap scanning sites. I have attached a couple of pages with details of actual scans that you can use on these sites. Which will be the best scanning site for you? It is completely up to you. Give each one a try, and see which one suits your style. NOTE: Please note that these services are good for scanning for swing trade setups (in the TAZ), that you can use for buying puts and calls or DITM options. For selling options (such as credit spreads), I use the Marketclub Trend Analysis service. I have a list of my favourite stocks in their profile, from which I get daily trend reports sent to me by e-mail. Stockcharts is one of the most popular charting services on the net. The charts look really good, and the information is clearly displayed. There are all sorts of chart formats, ranging from the standard candlestick chart to P&F charts. The free service allows you to set up your own daily and weekly chart formats, which you can bookmark. You can also run their pre-set scans. If you sign up for their basic plan ($14.95 per month), you can do your own scans and save your scan profiles. Go here to see how to set up your own scans for swing trades (which you will use for buying calls and puts) in Stockcharts. This is a very cool and idiot proof scanning and charting service that is FREE! You can pay $8.95 a month, and save all your scans, or you can do it for free and paste your scans from notepad. You can even generate your own candlestick pattern scans, and their java based graphing service is outstanding. Once the java has loaded, the scan is pretty fast, and gives you the first 100 stocks in the scan - plenty to dig into! I really enjoy this service for scanning for options trading setups. Go here to see how to set these scans up in Stockfetcher. This is one of those really clever services which provides scans, charting and trade setup services all at once. The charting services provide very good automated functions such as Fibonacci lines, trends etc. The charts are peppered with green and red arrows which show trade setups. You can sign up for several different levels, with the Trend Analysis for free. This site also links with INO.TV, from which you can download tons of free training videos. 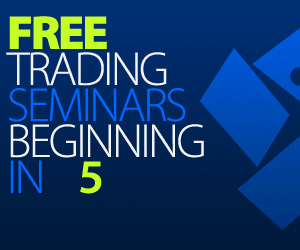 An overall outstanding training, scanning and trading service. Go Here to learn more about this service. TOP TIP: I use several of INO's services. Primarily, I have a portfolio of ten favourite stocks, and INO sends me a trend analysis from this portfolio every morning, or you can analyse up to 10 stocks per day on their free Trend Analysis service. Then, for $8.95 per month, you can get their Top 50 Trending Stocks every day. I have learned a bunch from their Free Trading Course . There is lots of good free stuff, and that is even before you subscribe to their stock picking service. This service is not free. It costs $97 per month. But it is actually the only one that I subscribe to, and I use it daily in my trading. It is simple, and really has a focus on two indicators only. Most indicators (eg RSI, moving averages) are reactive - they tell you what happened two days ago. This service has a predictive indicator, based on a combination of insider trading patterns, money flow and options open interest. So, it is really good at telling you when a stock is about to move in a trend (really good for credit spreads or naked puts). It adds to this a flag pattern scanner, which picks up a certain pattern on the bar chart that indicates a potential breakout (good for buying calls and puts). You can look at a video and see all its potential here.